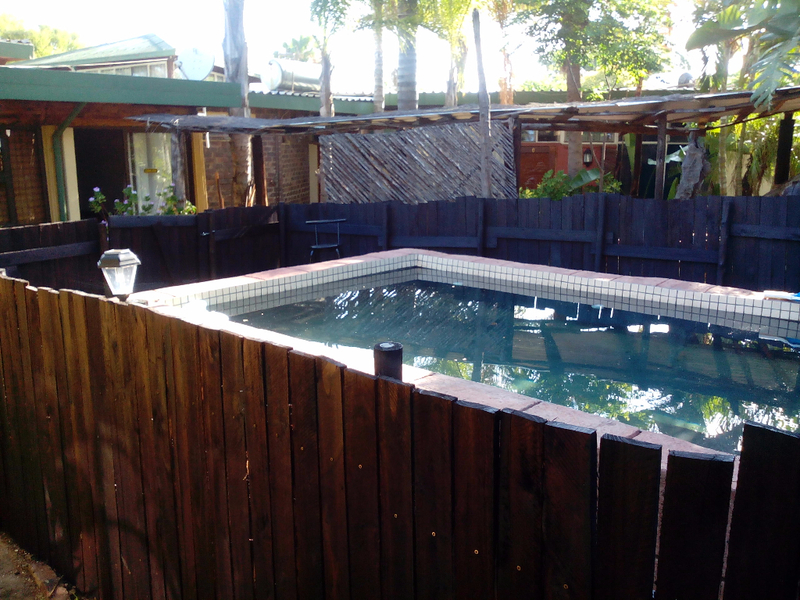 De Plaas Guesthouse is situated near the CBD of Polokwane (Pietersburg), the capital of Limpopo Province, and is close to shopping centres, hospitals and schools. Secure parking is provided and there is 24/7 security. Each of our luxury units, some of which have a thatched roof, includes en-suite bathroom, air-conditioning or fan, kettle, TV with selected DSTV channels. 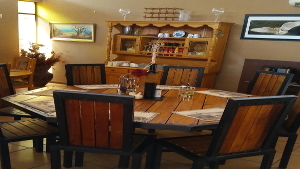 The semi self-catering rooms include a bar fridge, hotplates, pots, dishes and cutlery. A laundry service is also available to guests. Join us in our dining room where you can feast on a scrumptious breakfast or dinner on request. A sunken bar offers guests the perfect place to unwind after a long day in the buzz of the city. Alternatively you can braai and relax around the fire in the boma to your heart’s content. We can accommodate approximately 50 people in our conference facility, where whiteboard, flip chart, pens & notepads are supplied, and a notebook projector and TV are provided. 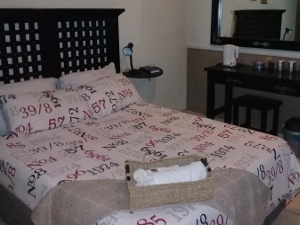 To get to De Plaas Guest House from Pretoria, head east on North Street towards Nuffield Street and then take the first right onto Nuffield Street. Turn left onto Soutpansberg Road / M22 and continue for 2.6 km. Turn left onto Stead Avenue, after 1.7 km turn right onto Michael Brink Street/M8, and continue to follow the M8. Proceed through one traffic circle and continue for 2.4 km. Merge onto the N1 Road/N4 via the ramp to Polokwane/Rustenburg and continue to follow the N1 Road, which is a partial toll road, for 109 km. Turn left to stay on the N1 Road and continue for 138 km. Continue onto the R101 and after 2.7 km at the traffic circle, take the third exit onto Campbell Street. Turn left onto Marshall Street and after 3 km turn left onto Webster Street. Continue for 1.1 km, turn right onto Johnson Street, and De Plaas Guest House will be located on the left-hand side, at 100 Johnson Street.